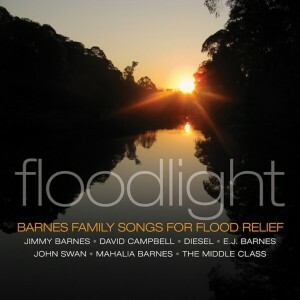 • And the flood relief albums keep coming, with Jimmy Barnes keeping a promise made during Channel 9’s telethon before the floods even hit Toowoomba, Ipswich and Brisbane, to release an album specifically to aid the flood relief effort. And it’s a family affair too, with not only Barnsey contributing, but daughter Mahalia, son David Campbell – even EJ Barnes and Diesel get a look in. ‘Floodlight’ has been rush-released at a special, great value price of just $4.99 for 16 tracks and is available HERE now. • Speaking of Jimmy, fans in Newcastle have had their show (scheduled for this Friday) postponed until Easter Thursday due to the funeral of Jimmy’s long-time friend and former Cold Chisel bandmate Steve Prestwich. Tickets already purchased remain valid for the new date. • Ben Folds has unveiled another date in Sydney as part of his forthcoming Aussie tour. The star will take to the State Theatre stage on May 14 for the second show and has added Kate Miller-Heidke as support for all the dates. Tickets for the new Sydney show are on sale on Friday January 28. • Speaking of live dates, The Holidays are off on tour again, with a jaunt across major centres throughout April, tickets for which are on sale on Monday January 31. Meantime, cop a listen to the recently uploaded CFCF Remix of their track ‘Broken Bones’, which as luck would have it is also downloadable HERE. • Independent Sydney-based country starlet Katrina Burgoyne will release her debut album ‘White Flag’ (pictured left) on March 10. But savvy punters and fans (like Kasey Chambers) can get their hands on it a little bit earlier by pre-ordering from her OFFICIAL WEBSITE now. • Aussie talent Mark Sholtez’s career has been given a mighty leg up, with news that he’ll be the opening act for some of Sting’s forthcoming concerts across the country. The first is scheduled tonight at Sandalford Wines in W.A., while Mark will also perform at Sting’s dates at the Barossa and Hunter Valleys. • The Aussie cast of ‘Hairspray’ has been confirmed to sing up a storm at the womens final of the Australian Open today week. The cast will perform a medley of hits from the show, while Jaz Flowers (who plays Tracey Turnblad in the awesome live production) will also perform the national anthem. • Andrew McManus has renamed the forthcoming Raggamuffin date in Brisbane. It will now be known as ‘Reggae For Recovery’ – a flood relief benefit concert. 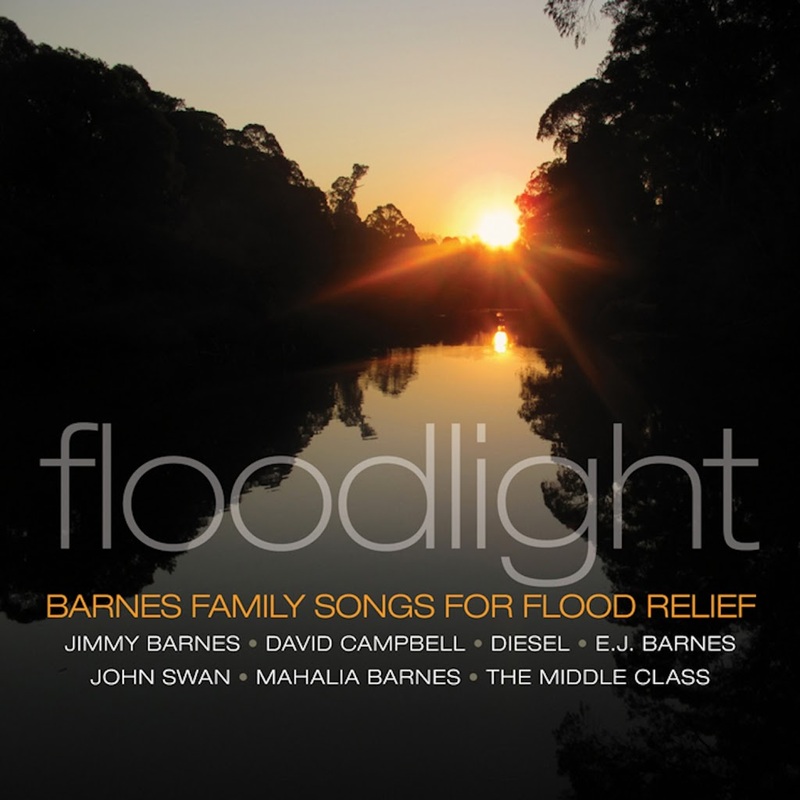 He’s also announced that all profits from the Brisbane show will be donated directly to the Premier’s Flood Relief Appeal, which as of yesterday had received more than $130 million in donations. The venue has also been moved to the city’s Riverstage. • On the US singles chart, Britney Spears has conquered all with her new single ‘Hold It Against Me’. First week in and it’s sitting pretty at No.1 on the Billboard Hot 100, with more than 400,000 people buying it within the first week. Avril Lavigne’s new single ‘What The Hell’ manages a No.13 debut. • And on the Billboard 200 album chart, Cake’s new LP ‘Showroom Of Compassion’ has sold just 44,000 copies in its first week on sale, becoming the lowest selling No.1 in history. Cage The Elephant’s new LP ‘Thank You Happy Birthday’ is in at No.2, while Steel Magnolia’s ‘Steel Magnolia’ debuts at No.7.